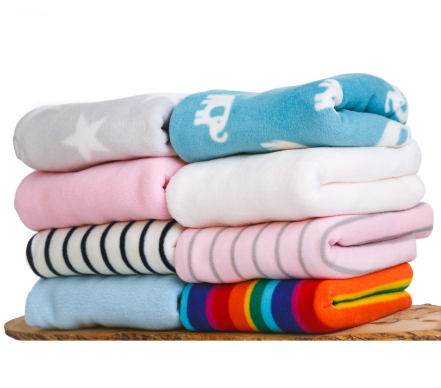 The Nod Pod is a baby blanket brought up to date. Its design keeps little legs, toes, and heads covered and can keep arms safely wrapped up where babies like them best. A perfect baby shower gift or newborn gift! 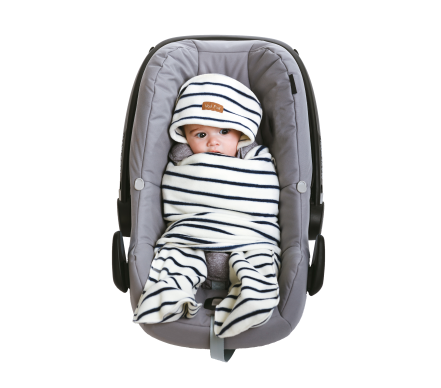 The blanket's simple and versatile design works with baby carriers, car seats and pushchairs - without needing holes and zips to accommodate straps and buckles. It is the perfect solution for moving baby from car to house or pram, keeping them nice and cosy, without being disturbed. When moving into a warmer environment, simply open the flaps and remove the hood from the head. 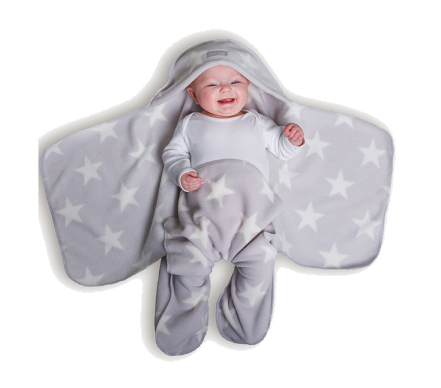 The Nod Pod baby blanket is made in the UK from light weight, super soft fleece and is machine washable. Available in three sizes; 0-6 months, 6-12 months and 1-2 years.